We got the perfect christmas gift for those who like to combine traveling with working. Today’s Office Looks Like This is the new book by our friend and fellow travel blogger Katrin Gygax. 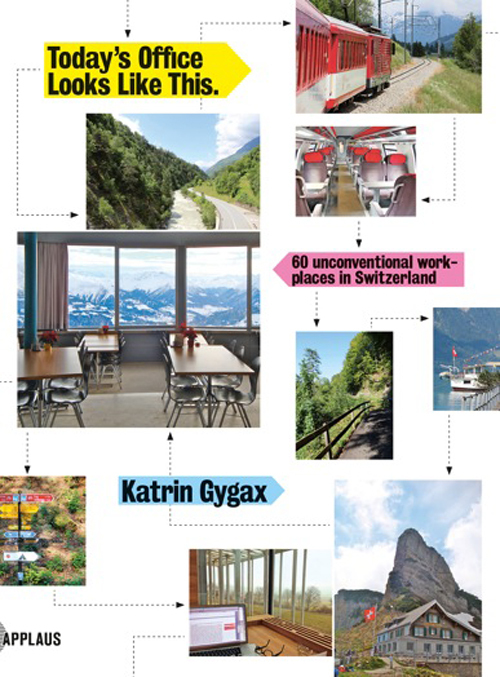 If you’re seeking inspiration for unconventional moving or stationary working-places throughout Switzerland, you should definitely get it. If you wish to get an insight into a Switzerland off the main touristic paths, you should buy it, too. The book also includes essays on Switzerland and “tips on where to eat, what to see as well as ideas for activities along the way”. For lovers of: unconventional guide books, traveling, mobile working, Swiss public transport, photography and Switzerland.